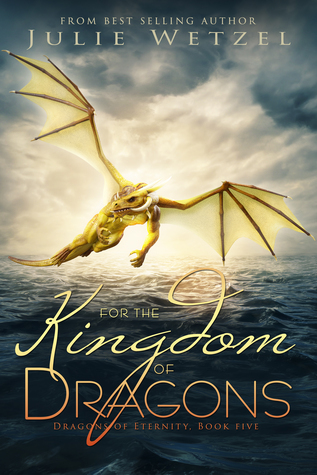 Kyle Markel, the King of Dragons, is presumed dead when his plane disappears over the cold waters of the Northern Sound. To make matters worse, his sister, Carissa Markel, has been given undeniable proof that Kyle’s longtime friend, Daniel Callaghan, has been sabotaging the largest investigation Eternity has ever had. He may have also been involved with Kyle’s disappearance. That’s something Angela Lewis discovers when she’s awoken in the middle of the night by a strange and violent ceremony. Her quick thinking frees the handsome man tied to the table, but the knife in his chest makes his survival questionable. Unsure who to trust, she finds herself running to the only place the stranger is willing to go—The Dragon’s Wing. Originally from Ohio, Julie always dreamed of a job in science. Either shooting for the stars or delving into the mysteries of volcanoes. But, life never leads where you expect. In 2007, she moved to Mississippi to be with her significant other. Now a mother of a hyperactive red headed boy, what time she’s not chasing down dirty socks and unsticking toys from the ceiling is spent crafting worlds readers can get lost it. 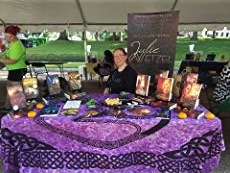 Julie is a self-proclaimed bibliophile and lover of big words. She likes hiking, frogs, interesting earrings, and a plethora of other fun things.